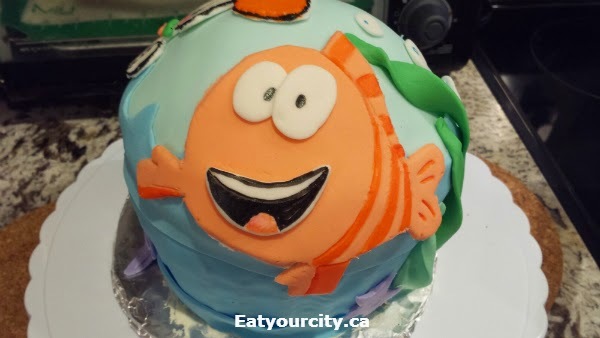 Eat Your City: Making a fondant Bubble Guppies themed cake smashing cupcake! 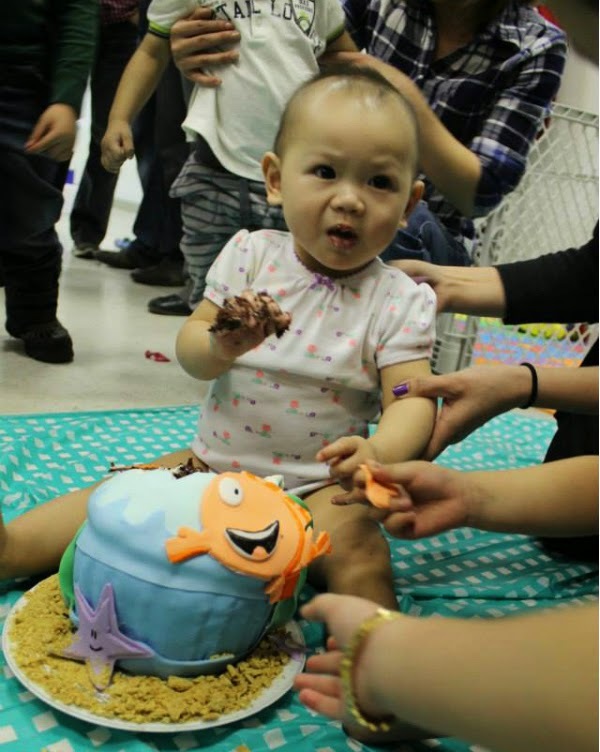 While the cakes were baking in the oven (I baked 2 just in case one failed miserably), I printed off simple line pictures of the big goldfish dude and his mer-dog friend, put on gloves and mixed up a variety of coloured fondant with Wilson's fondant colours set. 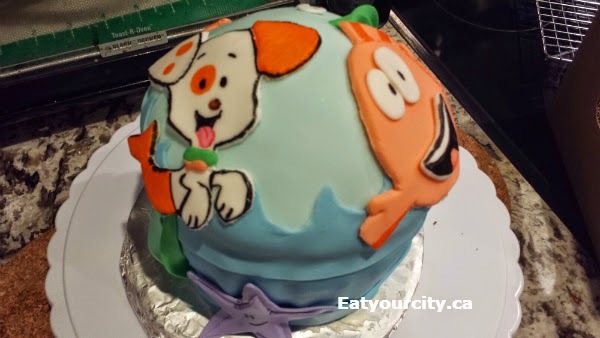 I used commercial fondant as I find it easier to work with than marshmallow fondant - feel free to make your own marshmallow fondant with this recipe here. I rolled out the fondant with a large fondant roller and laying the paper picture on top, pricked the pattern onto the fondant with some of the pokey tools inside my fondant and gum paste kit. 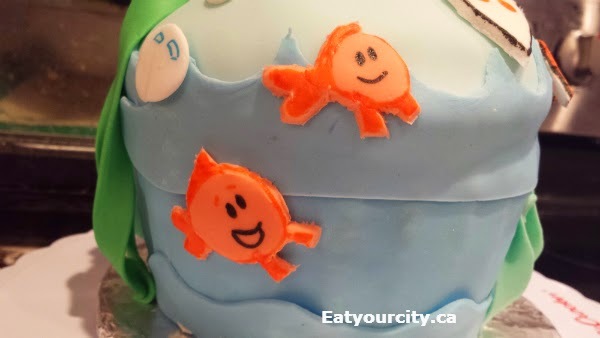 You can use a skewer or toothpick too if you like… then pieced them together and used edible pens to outline and scribble in finer details as needed. 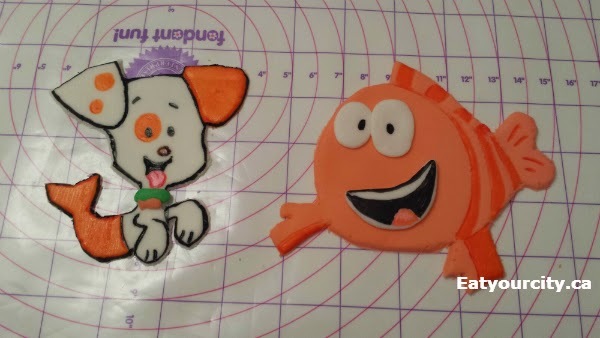 I used the Wilson fondant mat as it prevented the finished pieces from sticking to my table as I worked on them. 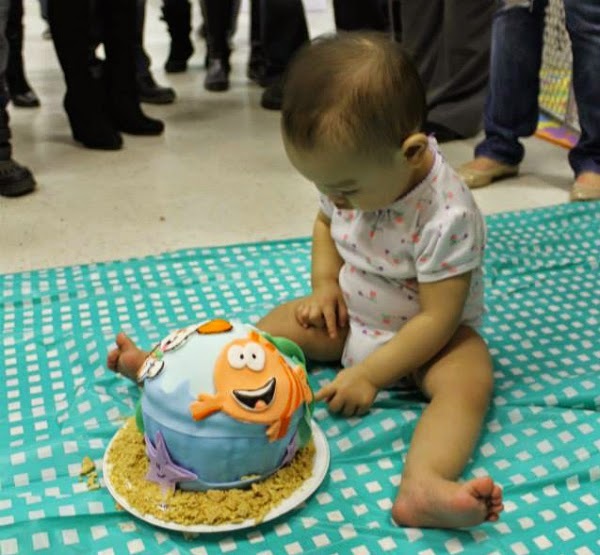 The next day, it was ready for smashing time! 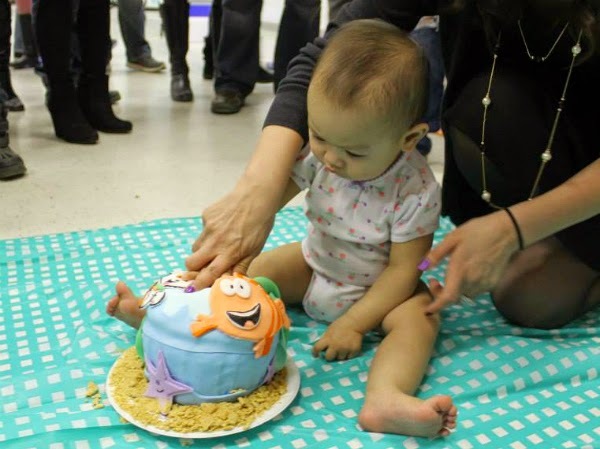 I added in some crushed graham crackers to act as sand… After taking off her nice party dress and into something easy to wash... at first the birthday gal didn't realize what it was, so only poked at it... poke poke poke! 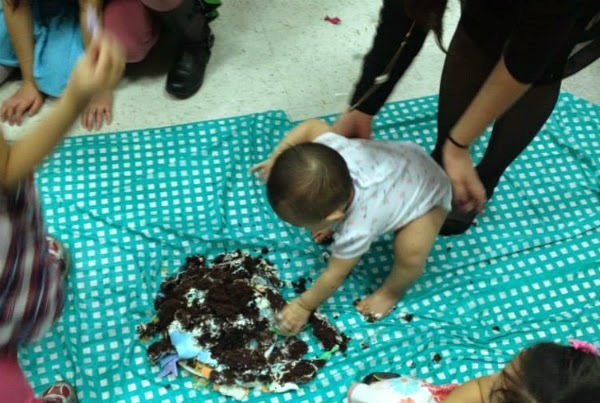 Successful cake smash! 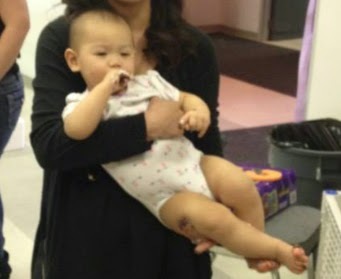 She was eating cake off her hands and feet after lol!